Leaders today need to be mindful of their circumstances as well as mindful of their own strengths and shortcomings. They need to have the disposition to succeed as well as the inner resourcefulness to persevere. Leaders must be willing to do things differently but also draw on tried and true traits, such as courage and gumption. The Fit Leader's Companion is a compelling and powerful guide for leaders seeking balanced lives marked by personal health and sustained contribution. It is an elegant, relevant and intuitive approach to the highly-complex and often ambiguous dynamic of "leadership". For over a decade, more than 1,000 leaders have field-tested and refined the Leadership Fitness model that serves as the foundation for the practical tips offered throughout this book. How can today's nonprofits demonstrate effective use of funds? How can they motivate employees and volunteers and combat burnout and high turnover? How can they ensure that they are performing in accordance with their mission and purpose? Author Stephen J. Gill answers these questions and more in Developing a Learning Culture in Nonprofit Organizations. Filled with practical tips and tools, the book shows students and managers of human services, arts, education, civic, and environmental agencies how to implement a learning culture with individuals, teams, the organization as a whole, and the larger community. Humans are naturally wired to solve problems. Implement the right solutions and the problems generally go away. Paradoxes are quite different. They consist of opposites that do not appear to be able to coexist, but must. Most of the issues that keep organizations from achieving strategic success are not problems, they are paradoxes. Practical approaches to address our most important paradoxes do exist. 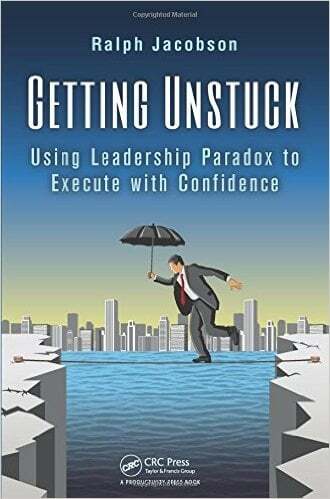 By reading this book you will learn how to address the paradoxes commonly encountered in organizations and in life. "Defeating the 8 Demons of Distraction," has proven strategies to increase productivity and decrease stress. Are distractions sabotaging your efforts to get ahead? Do you feel like you're constantly plagued by technology or interruptions by others? Lurking around us are forces labeled demons that interrupt our flow of attention and psychic energy and it's time to fight back! This book is designed to arm workforce employees, independent professionals, and family managers with simple, yet powerful strategies to defeat the 8 Demons of Distraction. Whatever your special life circumstances, you can use this book to reduce everyday distractions and needless mistakes. Find an in-depth description of each Demon, its sources, and insidious effects. Learn to: reduce distractions, increase productivity, enhance work/life satisfaction, and decrease stress. Practical step-by-step strategies will help you rid your life of formidable enemies such as the "Technology Demon," the "Unruly Mind Demon," the "Activities Demon," and five others. Find a research-based, proven plan of attack to decrease stress and increase your daily effectiveness at home and on the job. Drawing on Freud's concept of the oral road to the unconscious, Melodies of the Mind invites the reader to take a journey on an aural and oral road that explores both music and emotion, and their links to the unconscious. In this book, Julie Jaffee Nagel discusses how musical and psychoanalytic concepts inform each other, showing the ways that music itself provides an exceptional non-verbal pathway to emotion – a source of 'quasi' psychoanalytical clinical data. The interdisciplinary synthesis of music and psychoanalytic knowledge provides a schema for understanding the complexity of an individual's inner world as that world interacts with social 'reality'. Every organization in which we have worked has told us, at one time or another, that it had a communication problem. The communication problem bucket is very large making it quite easy to pour most organizational concerns into it. Lack of productivity, lack of efficiency, failure to meet budget requirements, failure to meet market demands, delivery of products to customers that are out-of-the-box failures, and a whole host of departmental, team and interpersonal issues are all attributed to a “communication problem.” No doubt there is some truth to this attribution, but what does it really mean when people say they have a communication problem? Communication problems can be extremely complex because of the multiple factors that cause the messages to go awry. This book was written to help you understand the communication issues in your own organization and develop positive alternatives to poor communication. We present scenarios from our own experiences that reflect many of the assumptions stated above. You will be introduced to the principles of effective communication and practical suggestions for improving communication in your organization.